Almost all complaints in recent years have been dismissed because they do not follow the law about such complaints. The law says that complaints about judges decisions and complaints with no evidence to support them must be dismissed. 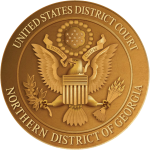 If you are a litigant in a case and believe the judge made a wrong decision-even a very wrong decision-you may not use this procedure to complain about the decision. An attorney can explain the rights you have as a litigant to seek review of a judicial decision.